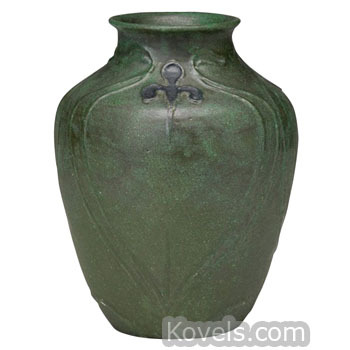 Volkmar pottery was made by Charles Volkmar of New York from 1879 to about 1911. He was associated with several firms, including the Volkmar Ceramic Company, Volkmar and Cory, and Charles Volkmar and Son. 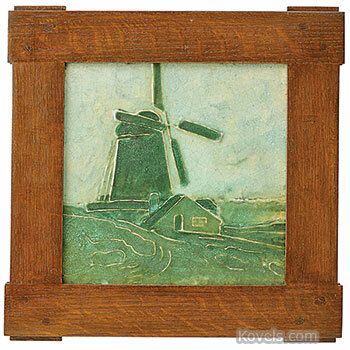 He was hired by Durant Kilns of Bedford Village, New York, in 1910 to oversee production. Volkmar bought the business and after 1930 only the Volkmar name was used as a mark. Volkmar had been a painter, and his designs often look like oil paintings drawn on pottery. It is said that Charles Volkmar was the first person to use underglaze slip painting in the United States.